Hands-on training with the critical theory and foundation that enables beginning level film students to develop into "filmmakers". Students learn the technical & artistic elements of film & media production, with an emphasis on storytelling.This worksshop is the most comprehensive workshop having all aspects of film making including SCREENWRITING, PRODUCTION, DIRECTING ACTORS,CAMERA & LIGHTING, SOUND RECORDING and EDITING. 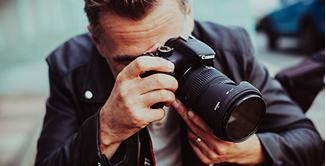 This workshop educates filmmakers about how LIGHTING, CAMERA, and LENS technologies can help them achieve their artistic intentions. This is for students who want to learn the key techniques, creative approaches and organizational skills involved in CAMERA OPERATION, LIGHTING and SOUND RECORDING as well. Digital Photography Workshop stresses understanding the fundamentals of the photographic craft, while constantly discussing the scene elements that are getting your attention, working toward distilling those light-based elements into photographic beauty.Topics always include exercising finesse over camera use, including exposure, depth of field, ISO and color balance. Even for advanced students this workshop provides a better understanding of the fundamentals. This private course is an intensive, hands-on educational experience in advanced post-production for video and multimedia projects. 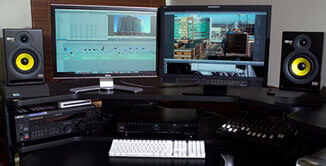 Editing, digital effects and motion graphics are the key subjects in this private training. This is a private training. The Duration and schedule will be determined for the student privately. 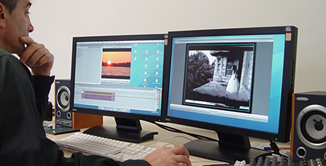 This Editing workshop explores theoretical and technical approaches to editing. 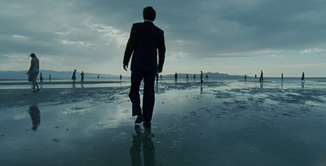 Students are provided footage to edit various projects over the course (such as a music video, trailer, short documentary,short narrative scene). 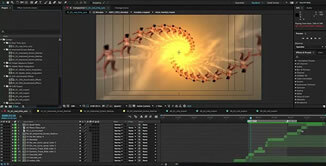 This training introduces you to the essentials for motion graphics and visual effects. Topics include compositions, layers, animation, keyframing, using 3D, basic animation with effects and presets, introductory text animation, basic keying and 3D, exporting videos.